ALI HASSAN is a stand-up comic, actor and radio & television personality. For the past two years, he has hosted Canada Reads, the annual “Battle of the Books” on CBC Radio and Television. He is also the regular host of Laugh Out Loud on CBC Radio and SiriusXM, and a frequent guest-host on q, Canada’s national arts and entertainment radio program. You may also recognize Ali from his multiple television appearances, on shows such as Designated Survivor (ABC), Man Seeking Woman (FXX), Odd Squad (PBS Kids), and the CTV series Cardinal, among others. Ali has also starred in the films Breakaway, French Immersion and GOON. 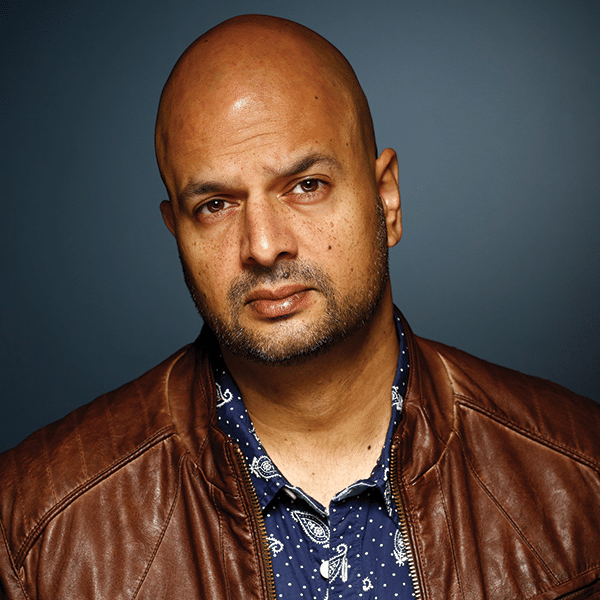 He brings 12 years of experience performing stand-up comedy internationally, including at the Edinburgh Fringe Festival in the UK, and is currently touring his solo show Muslim, Interrupted across Canada.